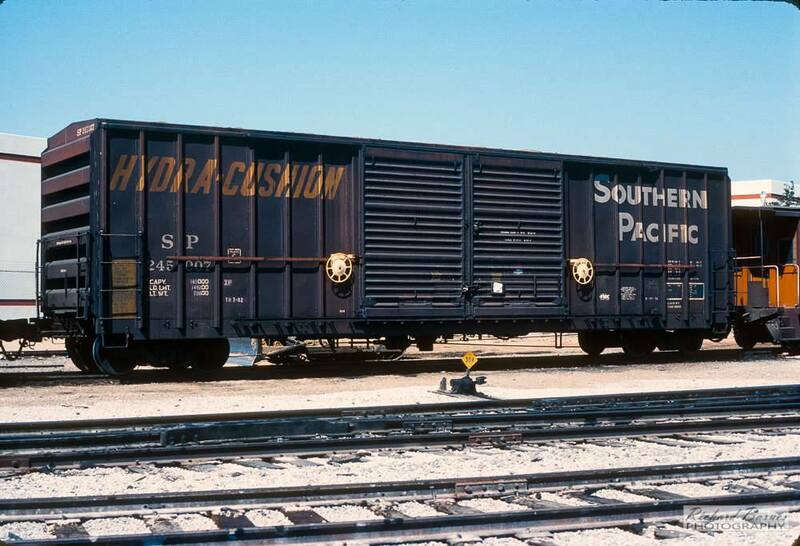 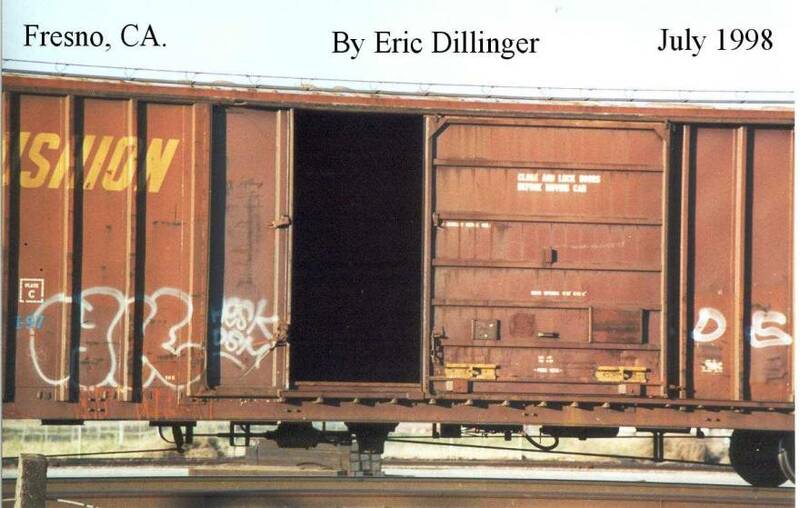 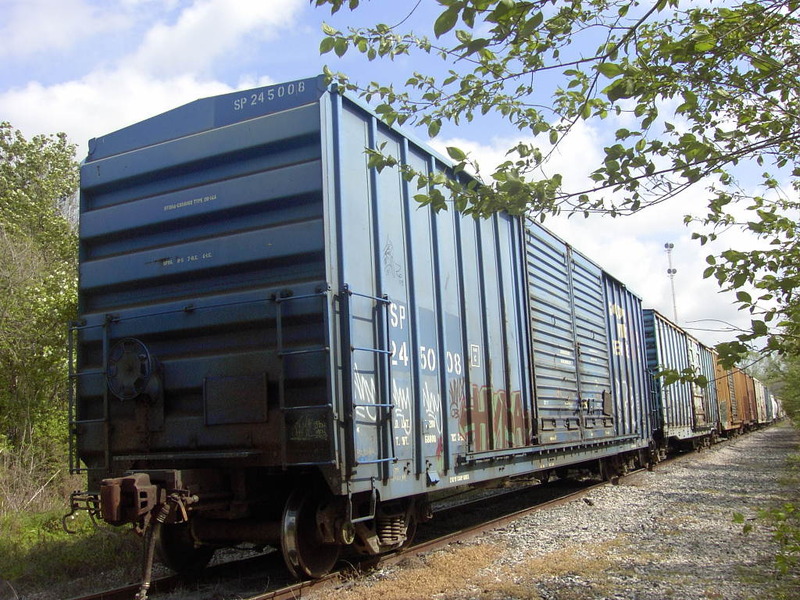 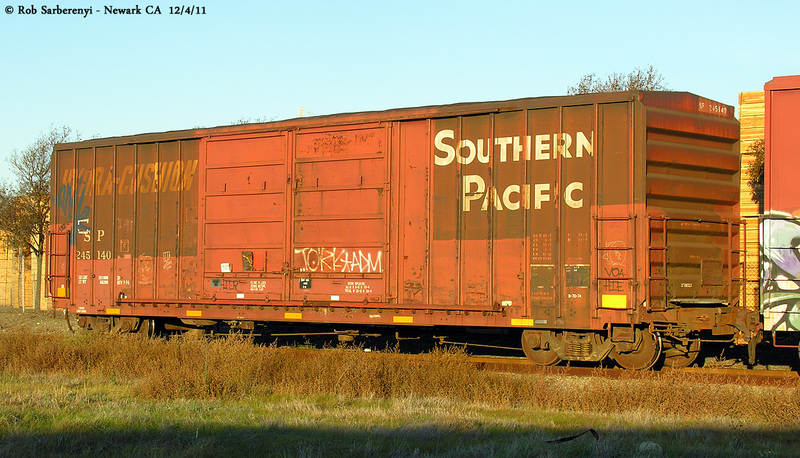 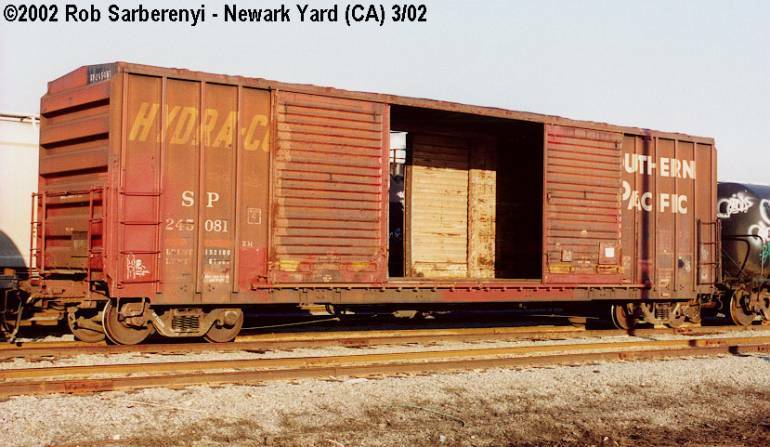 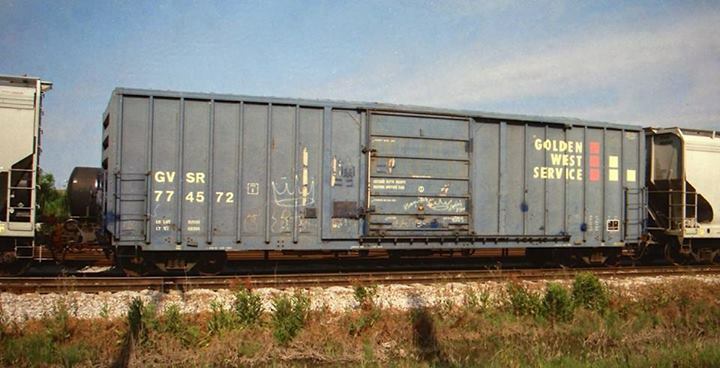 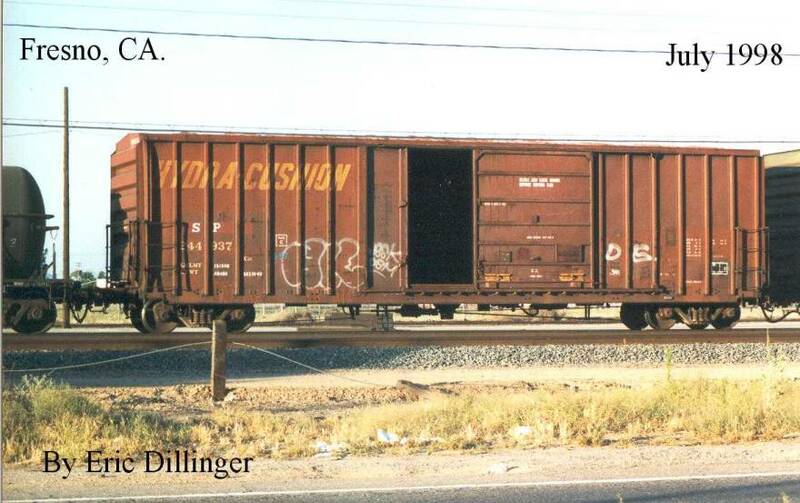 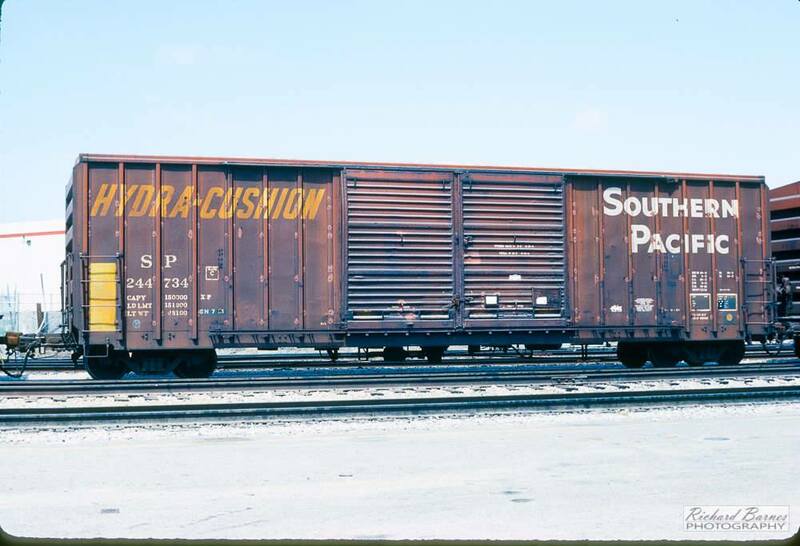 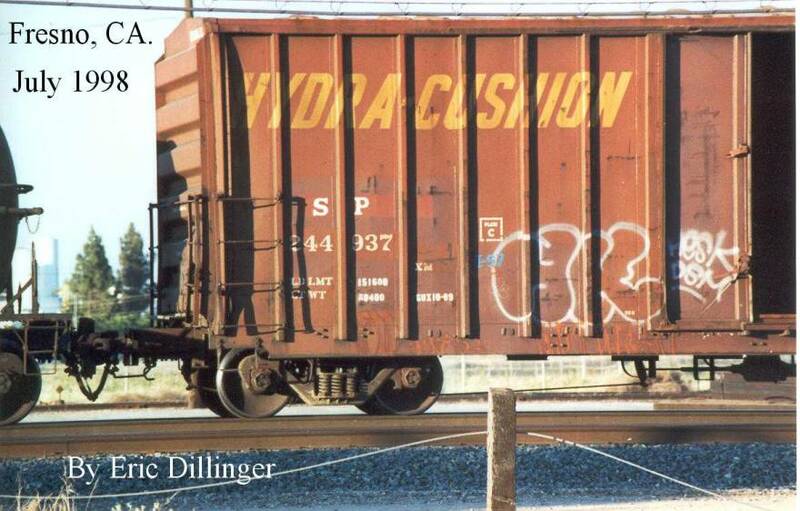 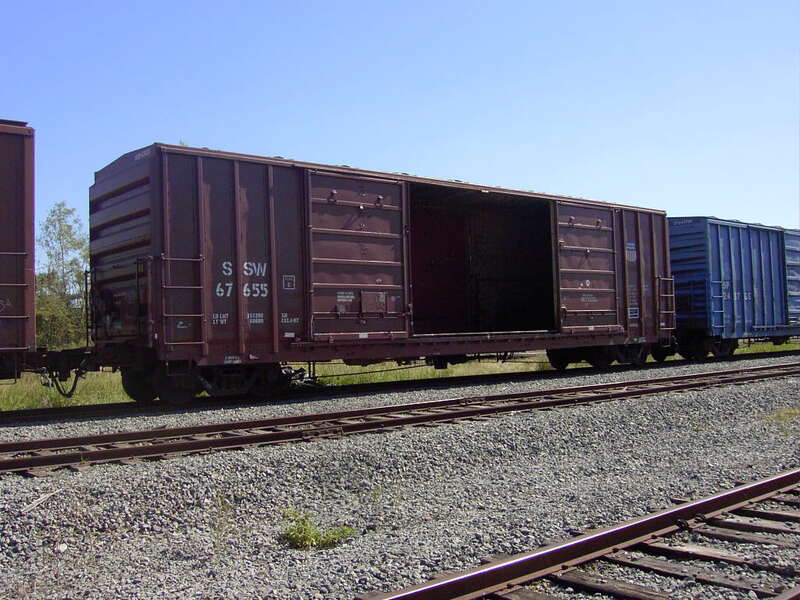 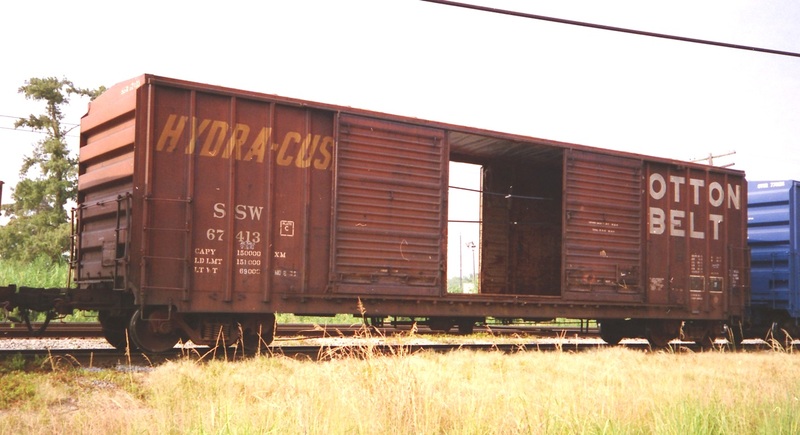 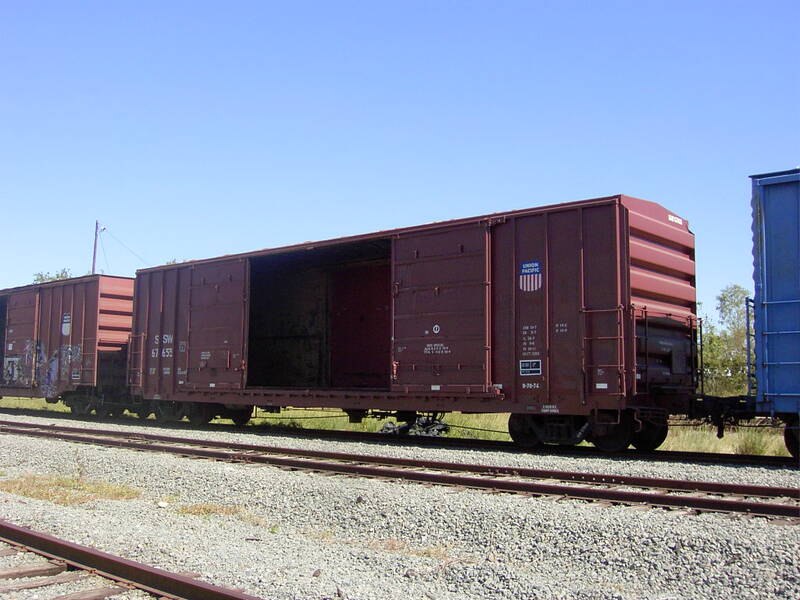 These 50'-7" box cars were built in 1974 by FMC-GBEC and featured 8'+8' Youngstown sliding doors, non-terminating ends, ACI label, horizontal ICC 2-panel COTS, Hydra Cushion underframes and 5283 ft3 capacity. 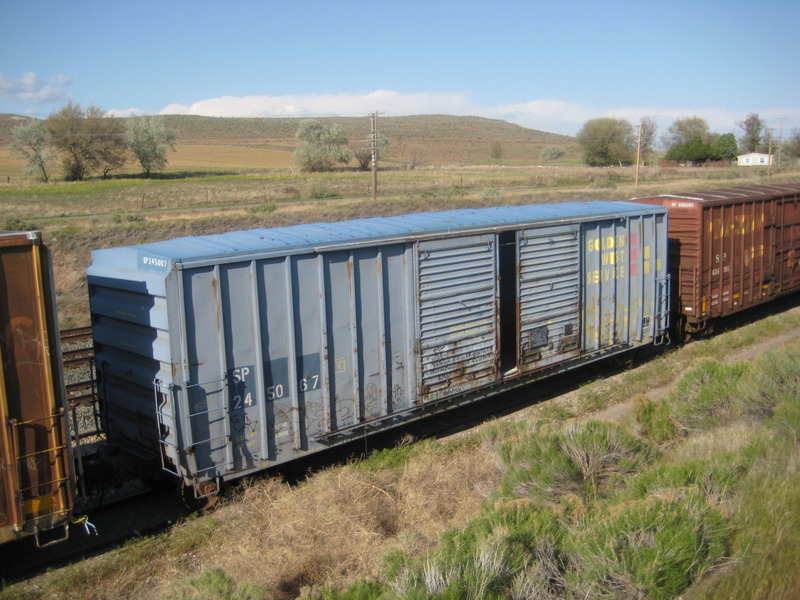 The new Intermountain 50' 5258 ft3 box car will model this class nicely. 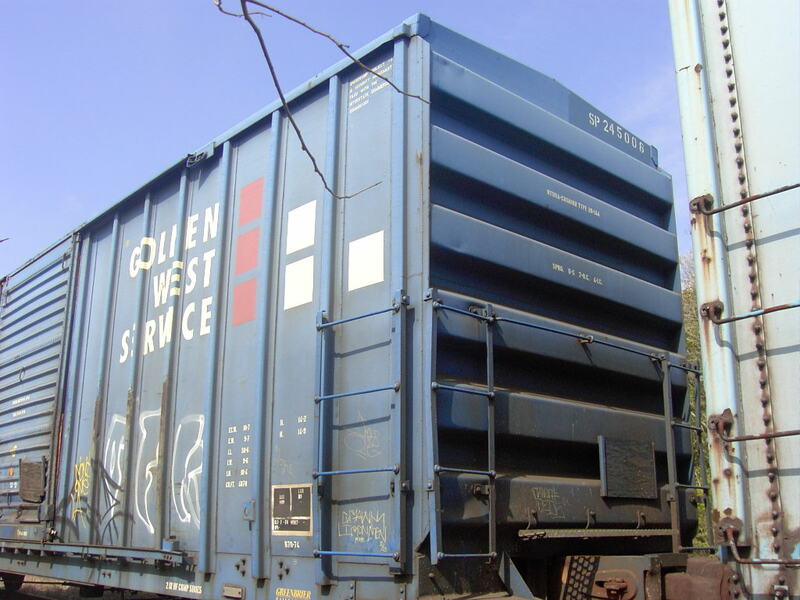 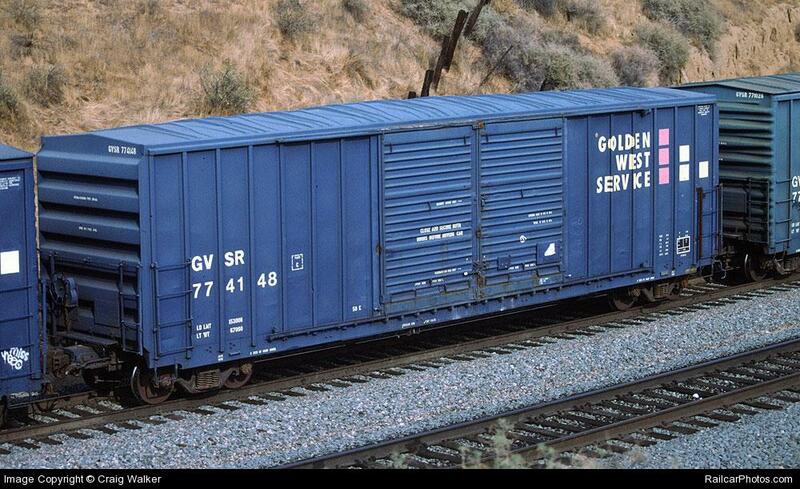 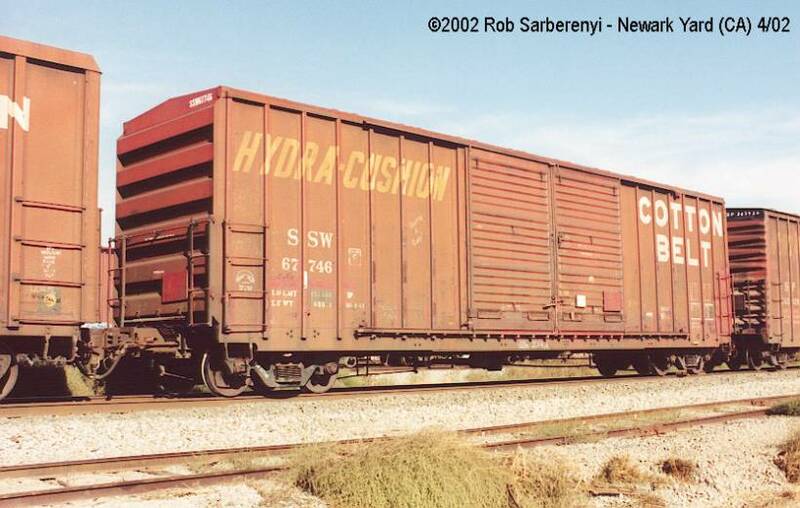 See Rick Selby's ex-Golden West Service SSW B-70-74 page. 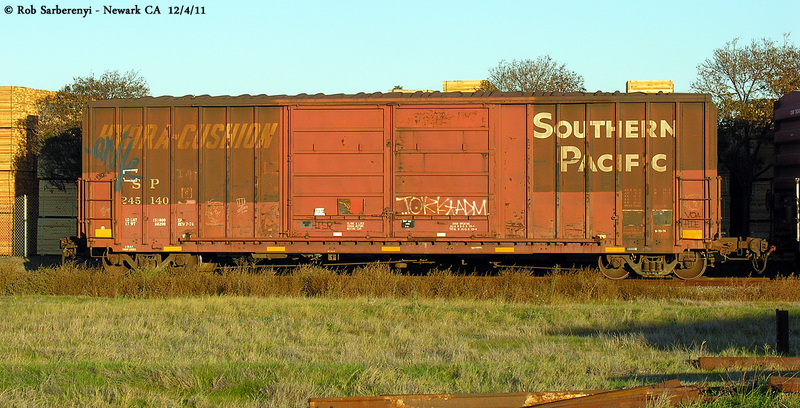 Note that this particular car, SSW 67545, was previously lettered GVSR 774204, before being relettered back to its original reporting marks and number.